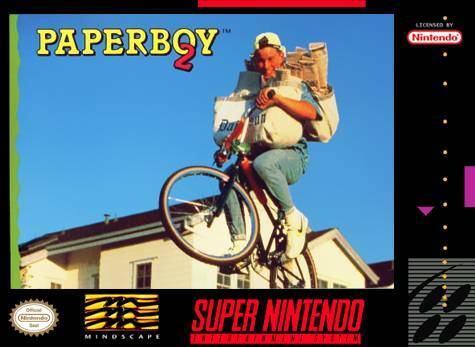 Paperboy 2 for Super Nintendo has the Paperboy back to deliver to new subscribers. Paperboy can ride in three directions, fire papers to the left and to the right, and jump higher into the air. When you've finished the route, head to the stunt and BMX tracks for some bonus points. For 1-2 players.